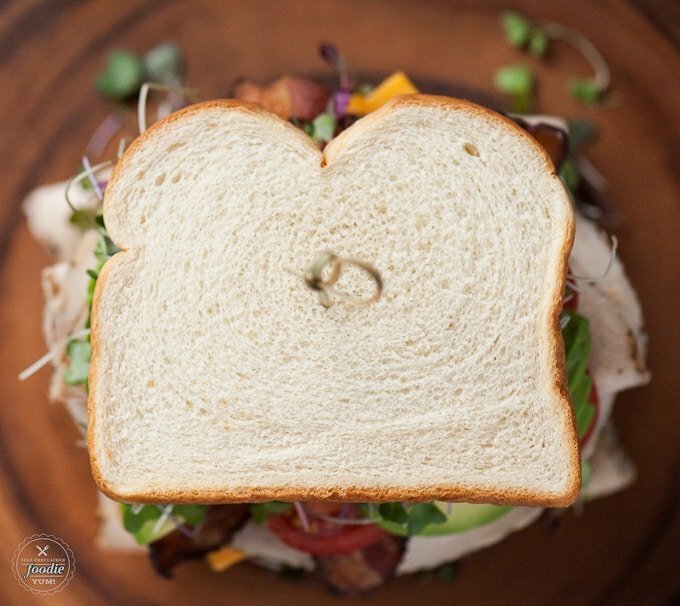 One of my favorite meals while growing up was a California Club Sandwich, and they don’t get any better than with Martin’s Old-Fashioned Real Butter Bread. Today’s recipe is sponsored by our friends at Martin’s Famous Potato Rolls and Bread. I can’t even begin to tell you how excited I was to make my all time favorite sandwich on Martin’s brand new Old-Fashioned Real Butter Bread. When you make a sandwich like this, it is more than a meal. Perhaps its nostalgia, perhaps its just a love of delicious food, but this sandwich is way more than just a sandwich to me – its an experience. You see, I’m a bit of a food snob. Okay, okay. That might be putting it mildly. The truth is that I don’t just care about the taste of my food, but I care about the quality, the ingredients, the history, the origins, etc. It’s almost like I have a rating system in my brain and for me to absolutely love any kind of food, it needs to pass all criteria. Friends, this bread passed with flying colors. The taste and texture alone will have anyone love this bread, but to fully appreciate it you need to know the brand, as well. Martin’s Famous Pastry Shoppe, Inc. is an all-American family owned and operated company headquartered in Chambersburg, Pennsylvania. From 1955, when Lloyd and Lois Martin converted their garage into a small bakery, the Martin’s family has focused on baking great-tasting products using high-quality ingredients. Their dedication to excellence, quality, service, and family values is what truly sets them apart from their competitors. Located in central Pennsylvania, Martin’s Famous Potato Rolls and Bread has been known for its “Famous Dutch Taste.” No longer just a “Pennsylvania novelty,” Martin’s Potato Rolls are the “#1 Branded Hamburger Bun in America.” In addition to their famous burger (Sandwich) and hot dog (Long) potato rolls, Martin’s also makes sesame-seeded Big Marty’s Rolls, Hoagie Rolls, 100% Whole Wheat Potato Bread, and Cinnamon Raisin Swirl Potato Bread. 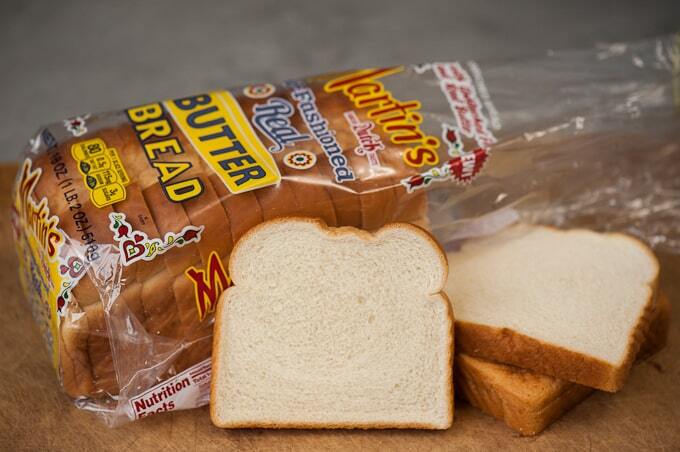 These and other Martin’s products, such as the new Old-Fashioned Real Butter Bread, are delivered fresh to Eastern and Mid-West stores daily and are exported internationally to a growing number of countries. My vote is for them to prioritize delivery to Portland, Oregon! Their Old-Fashioned Real Butter Bread combines the nostalgia of days gone by with the great taste and high quality that today’s consumer expects from Martin’s. Using 100 percent real butter without any additional oils is what earns Old-Fashioned Real Butter Bread its name. They only use high protein wheat flour, nonfat milk, real cane sugar, and other high-quality ingredients to make this great tasting, soft, gratifying Old-Fashioned Real Butter Bread. One taste and you’ll see how much more superior it is from other white breads on the shelf. Like other Martin’s products you can eat it right out of the out of the bag! 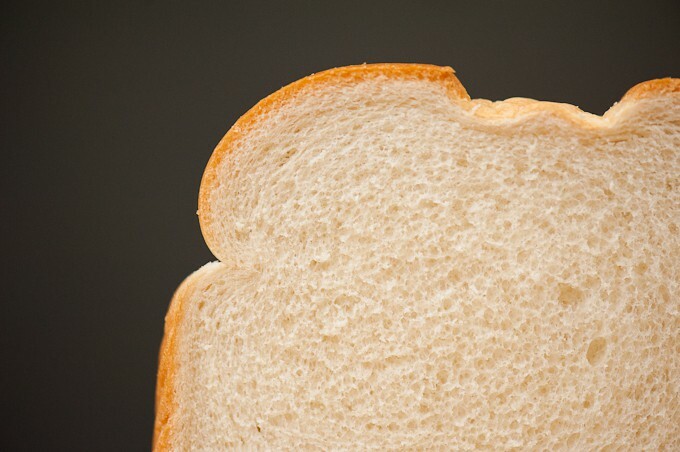 When I was a kid, I used to take pieces of soft white bread (which, in no way, were as amazing as this bread) and I’d smash it up into a ball and put the entire thing in my mouth. I called it “bread in a ball”. Yes, this is a true story. I have no shame in telling you that I did the same exact thing with a piece of this amazingly soft butter bread and the experience took me right back to my 8-year-old self. If you don’t just eat the entire loaf of bread plain (like I was completely tempted to do), it can be used as part of a recipe for sandwiches, casseroles, and bread puddings or eaten with a simple coating of jam or butter. However you choose to eat their bread, they can guarantee those you are serving will be grateful. If you’ve never had a California Club, the ingredients are simple. 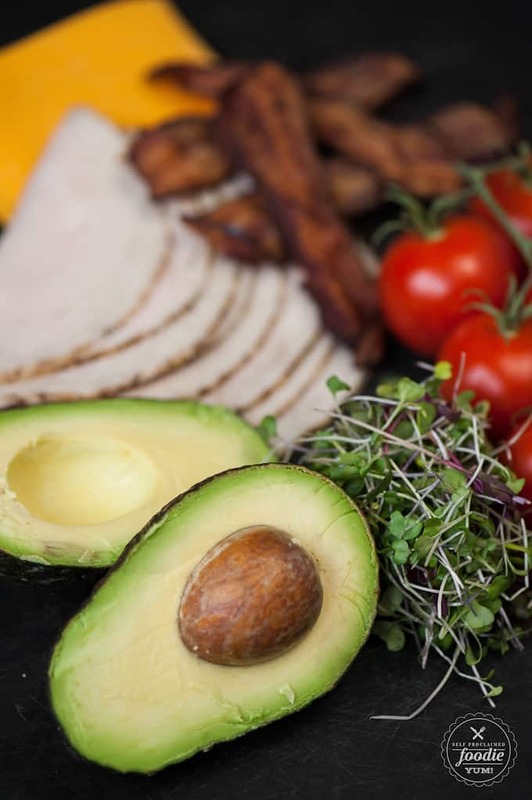 In fact, it can vary in many ways but there are two ingredients that will define it as a California Club – avocado and sprouts. Now, I much prefer alfalfa sprouts, but they aren’t so easy to find these days. If you aren’t able to find them, microgreens are very similar in taste and texture and make a good substitute. 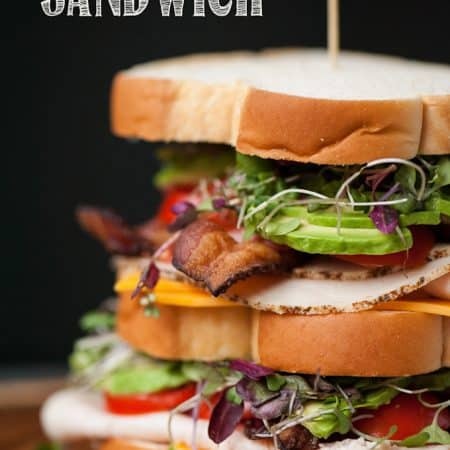 The remaining ingredients are what you’d typically find in a regular club sandwich – turkey, ham (I’m calling the ham part optional because I chose not to include it), bacon, tomato, cheese, mayo, and of course – exceptional bread that not only holds this monster of a sandwich together, but bread that compliments all the wonderful components of this sandwich. One of the reasons this Butter Bread works so well with this massive sandwich is because it is physically possible to eat if you smash the whole thing down. I watched my husband devour this sandwich in less than five minutes and I couldn’t believe he was able to fit each bite in his mouth. It was quite impressive. Bottom line – you can’t fully enjoy a sandwich without exceptional bread holding it together. One common staple has brought people together throughout history: bread! For over 60 years Martin’s has been a part of this history, baking up rolls and bread that bring friends and family together. They thought it was time they made a new addition to their bread family… and I’m so happy it was this Martin’s Old-Fashioned Real Butter Bread! Grandma Martin wouldn’t think twice about providing fresh, quality, delicious bread to nourish her growing family. She recognized the importance of time spent together—time where we stop our work and gather together to talk, laugh, share, and grow. When we bring loved ones together, only the best bread will do. This is so much more than a meal. These moments are what we hold onto and remember from one generation to the next. To learn more about Martin’s Famous Potato Rolls and Bread, visit their website at: www.potatorolls.com. One of my favorite meals while growing up was a California Club Sandwich, and they don't get any better than with Martin’s Old-Fashioned Real Butter Bread. 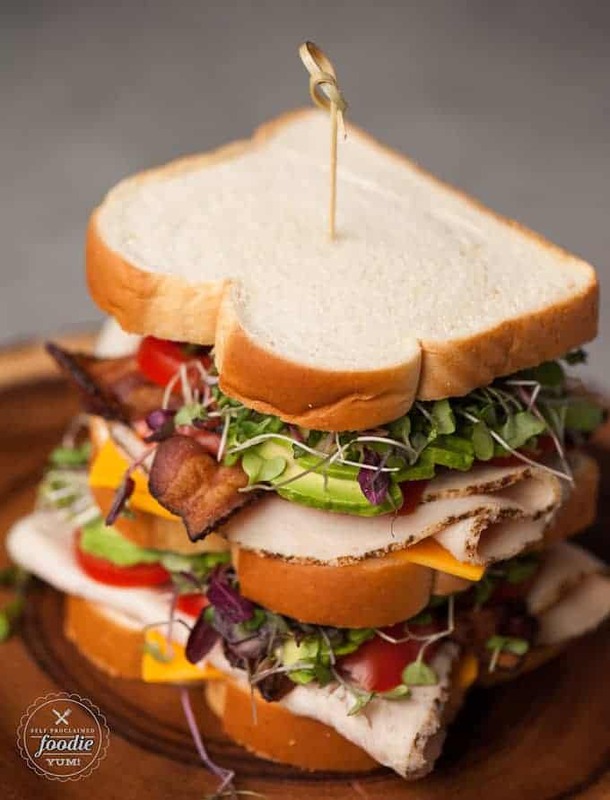 To layer triple decker sandwich, arrange two slices of your tasty Martin’s Old-Fashioned Real Butter Bread on a flat surface, leaving the third slice for the top. Divide all remaining ingredients in half and assemble on the two slices of bread. Stack them together and top with remaining piece of Butter Bread. 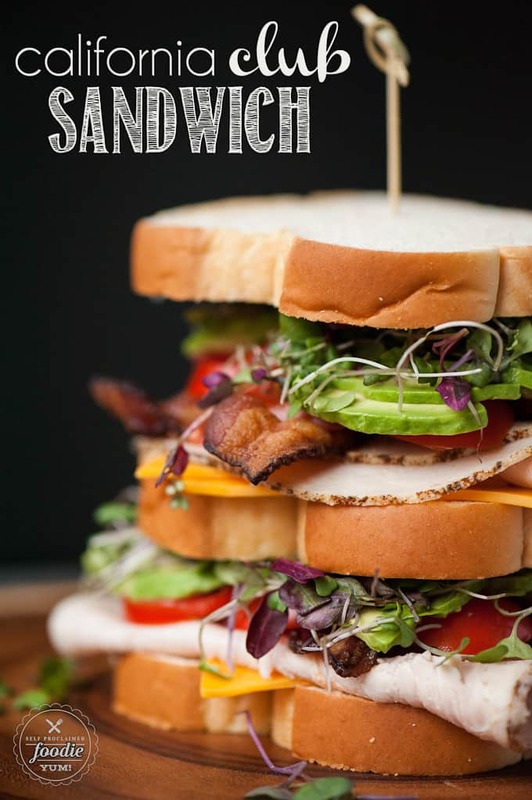 You may need to hold sandwich together with a bamboo stick as this sandwich will be tall and delicious!